Strobe LED light bars are the first choice in alert lighting for police cars, fire trucks, ambulances, rescue vehicles, highway construction equipment and roadside assistance trucks. 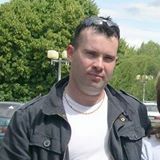 They offer conspicuous, head-turning brightness and significant advantages over competing technologies. 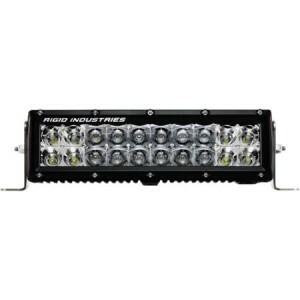 Strobe LED light bars use dozens of LEDs and multiple light heads along with programmable controllers. They provide any type of flash/strobe pattern imaginable. The LEDs may be white, blue, red, amber, green or purple to further enhance visibility. Directional traffic alerts, rotating beacons, heart-stopping strobes, and blinding takedowns are all possible with unlimited lamp arrangements to suit any purpose. Quality LEDs have lifespans of 50,000 hours. 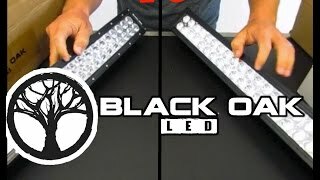 Because dozens of LEDs make up a light bar, redundancy is built in. In the best LED strobe light bar, current draw is tightly controlled over a wide voltage range, so the light bar works equally well with 12V or 24V battery systems. 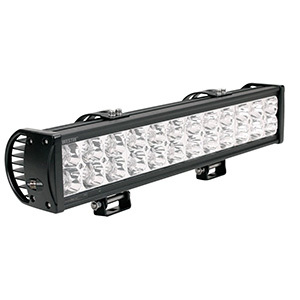 LED strobe light bars output more light per Watt than other types of lights. 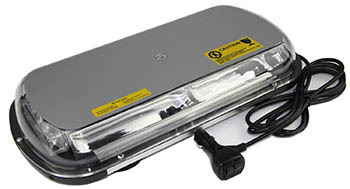 Small to medium LED light bars can from using a cigarette lighter adapter. 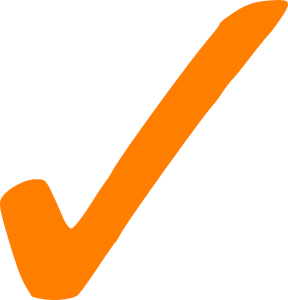 A standard vehicle battery can run most light bars for several hours. LED Strobe Beacons – Flashing and/or rotating beacons used for warning and hazard lights. Rotation can be digital or mechanical. LED Strobe Fixtures – Standalone light heads used with marked and unmarked police cars, fire trucks and other rescue vehicles. They are compact and come in many colors. 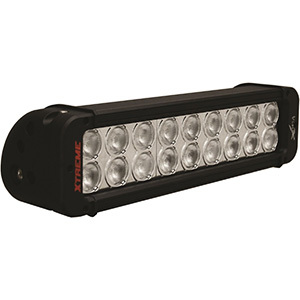 Emergency LED Light Bar – These have a variety of configurations, including combination light bars for illumination and advisories, built-in beacons and highly conspicuous strobes. They come in all colors and some include dual- or triple-color LEDs. Federal Signal, Whelen, Wolo, Xtreme®, ThunderEye and LUMAX are top makers of strobe LED light bars, beacons and fixtures. These light bar makers have been in the emergency vehicle lighting business for decades, so you can trust their products. Since emergency strobe lights are exposed to weather extremes, dust, salt and other chemicals, ensure they use tough polycarbonate or quartz lenses and have an IP67 intrusion rating. 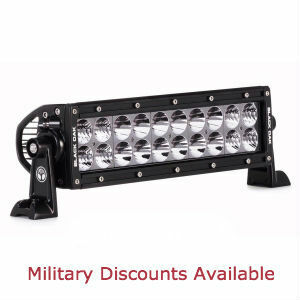 Research strobe LED light bar reviews to verify quality and pick up installation and operation tips. The Xtreme® 44 LED Emergency Hazard Flashing LED Roof Strobe Light Bar with Magnetic Base is a 17-inch wide block of high-intensity light available in five different colors or five color combinations. Its low profile is ideal for stealth installations. It plugs into any 12VDC cigarette lighter, has on/off and flash mode switches and last pattern recall. It mounts in seconds with adhesive cups and powerful magnets. 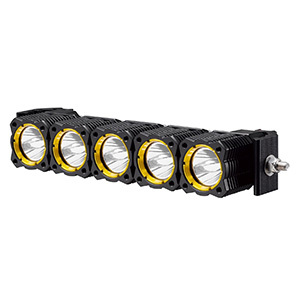 Wolo’s 7900-A Lookout GEN 3 Technology Low-Profile LED Emergency Warning Light Bar provides intense, 360-degree beams from 18 amber and 4 white 1W GEN 3 LEDs. Three traffic advisories and 15 flash patterns can be selected from a dash-mounted control module. The white LEDs are used for takedown lights. Similar models with red, blue or white LEDs are available. 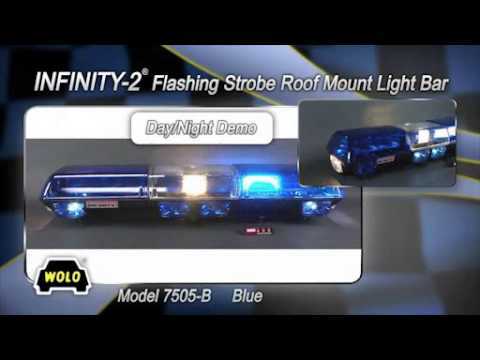 Strobe LED light bars have revolutionized lighting options and visibility for all emergency and public service vehicles. Their intense visibility, versatility and low operating costs make them the only logical choice for head-turning lighting that warns, protects and keeps traffic and operators safe.